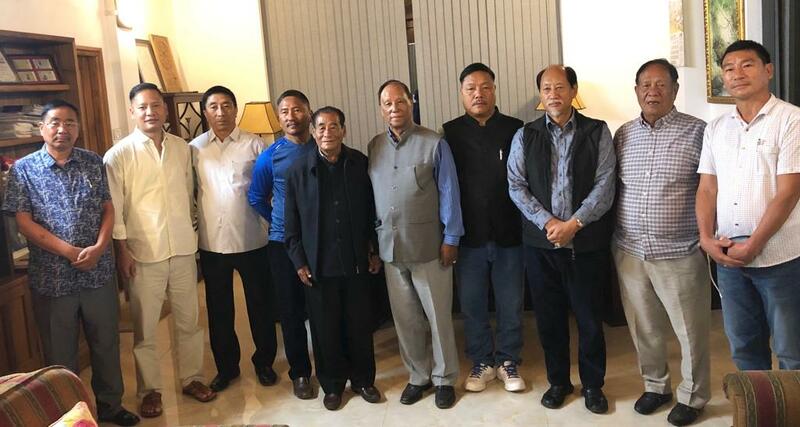 We the undersigned MLAs would like to declare that we appreciate all the developmental and progressive initiatives that have been undertaken till date by the PDA Government under the leadership of Hon’ble Chief Minister Shri Neiphiu Rio. Ever since the PDA coalition was sworn in on 8th March 2018 to run the affairs of Nagaland, we have witnessed positive changes and restoration of the system of good governancewhich is in the greater interest of the people of Nagaland. We look forward to an era of stability with visionary and decisive leadership which is the need of the hour in Nagaland to facilitate the much-needed all-round development. We extend our fullest cooperation to the PDA Government and we also endorse the PDA Government’s stand as a facilitator to the ongoing Indo-Naga peace process for an early, honourable and inclusive political solution. Moreover, the absence of an NPF candidate in the Lok Sabha Elections 2019 and the decision to support the Congress is against the principle of regionalism and this development has necessitated our decision to extend cooperation and support to the PDA consensus candidate and the PDA Government.